COMMENTS: I’ve used these containers for several months for my lotions, whipped butters and scrubs. I love the look with the black tops. The plastic cuts shipping costs and the product is an easy sale at fairs. It looks expensive but the price is very economical. I’m buying more now to fulfill upcoming needs. COMMENTS: I love these Jars ...Super cute I love them and my customers love them... Looks great with both White n Black caps. COMMENTS: This sleek container looks just like glass and is perfect for body butters and scrubs. Gives a high end look to spa type merchandise. The black or white dome lids and the silver metal lids make the overall look really classy.They seem to hold a little less than the 4oz stated, though. Well worth the price for this quality clear oval jar. COMMENTS: Love these jars! So sleek and professional looking. Had a customer travel in heat and they help up well. COMMENTS: Clean exterior and makes my product colors pop. "Oval plastic jar 4 oz clear powell"
COMMENTS: i bought these clear oval containers ,i made few body scrubs and they all looked very cute in them. seals great and would recommend. 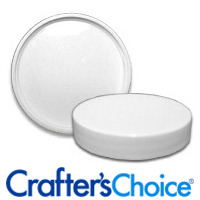 COMMENTS: This 4 oz oval jar is the perfect size for creams and butters. The oval shape gives it a more expensive look, especially when paired with the black dome lid. Will be ordering more of these in the future. Price is reasonable for the extra style. COMMENTS: Loved using these jars for a facial scrub and for a layered bath salt. COMMENTS: I love the size of these Jars. They give an elegant look. I use these for the women's products and use the rounds for the guy's. Perfect size for face creams and facial scrubs !!! COMMENTS: I seriously thought these jars were so cute when I got them and I really loved how well they worked out for my products. I would def. purchase again. COMMENTS: Very cute containers for my body frosting. I love the shape and they are very sturdy. COMMENTS: I switched to these jars over the round ones. I like the oval shape. I really like the clear jars. "Cute but doesn't hold 4 oz"
COMMENTS: I bought a bunch of these cute little jars for my scrubs but unfortunately they don't hold 4 oz of product. The most I could fill to was 3.9 and that was having to fill them to the absolute top. No way could I fit anymore to make it 4 oz. I'll try and use these up because they are a nice shape but I'll stick with the 4 oz basics. They hold way more than 4 oz. Usually around 4.7. COMMENTS: I like them for facial products. They take up less space than the round ones and being small and clear makes for a great selling product. "Perfect for my foot care sets!" COMMENTS: These were the perfect size and shape for my foot care sets, I used 1 for salt soak, and 1 for a nice thick foot cream, shrink wrap banded them together by the tops (one upside down on top of the other) and bundled them with a pair of my mom's handknitted slippers! COMMENTS: Great quality, and are the perfect option for my scrubs. COMMENTS: New look to my skin care products, facial mask, scrubs and thicker lotions. Looks so nice! COMMENTS: Love this little jar, looks great. Wonderful size easy to find lids. COMMENTS: These jars are perfect for so many products! I really love using them for jelly soaps and scrubs. I'm nearly out of them, so I plan to order more very soon! COMMENTS: I am in love with these little jars, I purchased this to put my body butters in and i will be purchasing more. COMMENTS: Nothing to complain about here. The jar and lid are solid and I haven't had a problem with leaking. Paired with the black ridged lid, it looks professional. COMMENTS: I have used this jar for facial cream and body butters for a while now. If paired with domed tops, makes a very attractive container. I use them in gift baskets as well as individual orders! Perfect size! COMMENTS: I loved the jar shape but had trouble sealing and putting a label that actually would fit on the jar. The jars are very sturdy and look very pretty but I will probably stick to the round ones for future use. COMMENTS: Very nice looking and easy to fill. I love them. 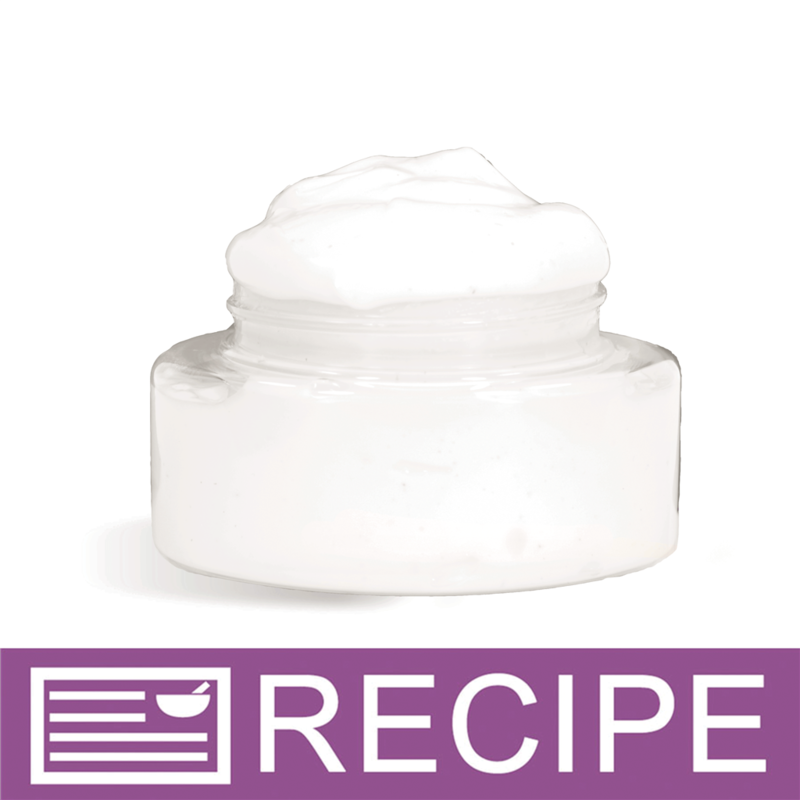 "clear powell oval jars 4 oz"
COMMENTS: I love these jars for my whipped body butter. Just the right size. 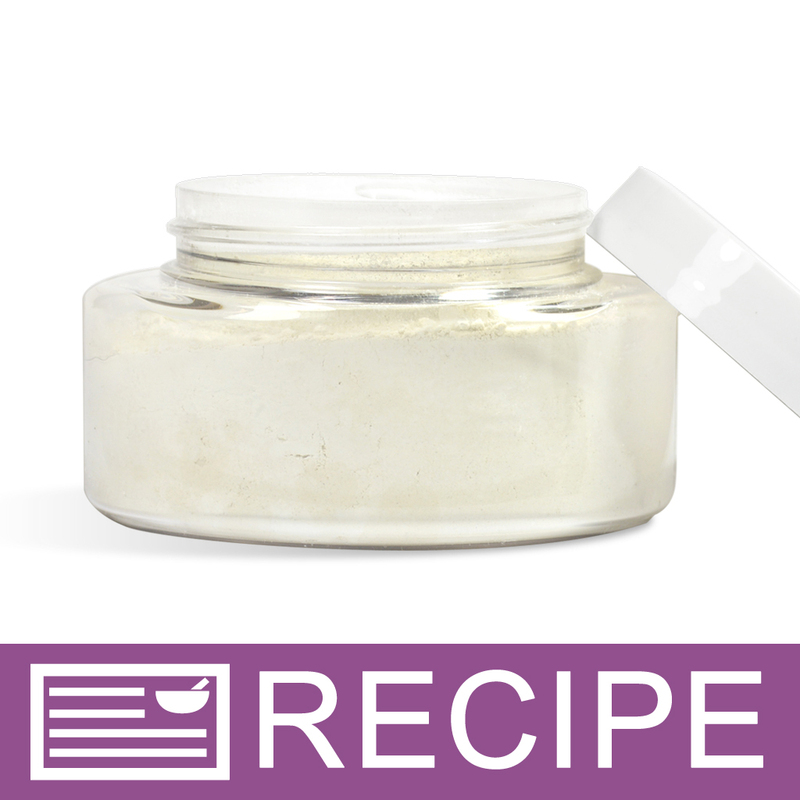 "4 oz Clear Powell Oval Plastic Jar - 58/400"
COMMENTS: Great for small body butters and bath salts. 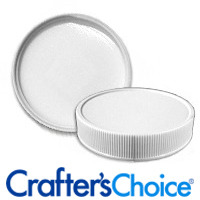 "4 oz Clear Powell Oval Jar"
COMMENTS: These jars are elegantly shaped and are crystal clear. They are perfect for displaying my sugar scrubs and add a professional look to my products! COMMENTS: I love these jars. Makes my products look professional. COMMENTS: These are the perfect size for my moisturizing creams and body butters. I like that you can see what is in the jar. "Perfect shape gives it an expensive look"
COMMENTS: I have recently started making body butters to sell and was puzzled over which containers to try. These cost a tad more than standard round containers but is so worth it. These stand out and give your products a more expensive look. While the 4 oz is small (of course it is only 4 ounces) it still looks incredible. I also like the wider opening at the top as some of my body butters are very thick and it takes a couple fingers to get some loose. The only thing I would like better is if they were a tad thicker as I think they could possibly scratch easy if they get moved around a lot. COMMENTS: Love these jars, fast shipping, Thank you so much !! "I was so excited when my order arrived." COMMENTS: They are really nice and exceeded my expectation. My daughter thought they were awesome and can not wait to use them for gifts. COMMENTS: These are perfect love the shape. COMMENTS: First time I purchased this particular jar and just LOVE the look! I've been using the double wall white plastic jar for my lotion and body butter and thought I'd give the product a prettier look with this oval jar. The upgrade was definitely worth it, customers seem to be more attracted to this jar's design. Great price, quality product, & lovely look. Also, much easier to fill jars with a wider opening. COMMENTS: I love this jar. It's just the right size! Very classy look. COMMENTS: I love the shape of this jar. Its the perfect size for scrubs and bath salts. "Oval plastic jar is great"
COMMENTS: These are so classy looking. I make two different sizes of salve and these work great for my larger size. "Oval jar love the size and shape "
COMMENTS: The jars are nice size and love the shape. COMMENTS: I love this jar!! Especially the oval appearance! I love using the clear so my clients can see the homemade products!! COMMENTS: Great little jars for a smaller option to 8oz. COMMENTS: Nice jar for sugar scrubs. Easy to fill and get the scrub out. Nice size top for label too. COMMENTS: Love these jars. The unique shape provides a very upscale presentation. Please continue to add packaging options like this, and keep these little jars in stock!! COMMENTS: I like the clear jars and the shape as well. COMMENTS: Adds just a little style to my facial products. Four ounce is a very useful size. COMMENTS: I use these jars to package the goat milk and honey lotion in. They are made with a nice sturdy plastic that won't break or bend. 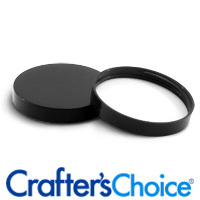 These jars are the perfect size for stacking and displaying. The best part of these jars is that they are the perfect size for address labels, so I am able to save money by using 2 address labels per jar instead of larger more expensive labels. COMMENTS: These jars are so professional looking and are perfect for my body scrubs and whipped soap. COMMENTS: I love these oval jars. They look so nice. I like having a choice for my high end products without spending a fortune on expensive glass jars. COMMENTS: There is nothing wrong with this container. It's good quality etc.. I think I like the 4 ounce natural jars better though. I find the containers that are completely round are easier to fill and look just as nice. However.... I may go to these at some point if I want my Body Butters and Scrubs in different containers to make it easier to tell them apart at first glance. "It is what it says it is 4oz is REALLY 4oz!" COMMENTS: For over 6 months I have been searching for the perfect container for my 4 and 8 oz body butters. I FINALLY FOUND THEM! This amazing jar is exactly what it says it is! The PERFECT 4oz jar for my body butters - and when topped with a domed lid, nothing oozes out and it's just right. The ONLY product I will ever use for my body butters and bath salts! PERFECT! • 4oz is really 4oz! COMMENTS: Love the smaller size for my small scrubs and smaller versions of body butter. Super cute when done up with a label. Will be buying more. COMMENTS: THIS JAR IS PERFECT FOR SUGAR SCRUBS. COMMENTS: I switch to using these for my lotions instead of the basic plastic jar. I love them and think they look more professional. COMMENTS: I love these jars! They make perfect starter jars for those wanting to try the product without a large commitment. Just big enough to tease! They look awesome with colorful scrubs and salts! These will be on my list for a long time! COMMENTS: This little jar really helped to upgrade the appearance of my products. I love how my labels look and fit so nicely!! COMMENTS: I bought these jars as well as some lids. 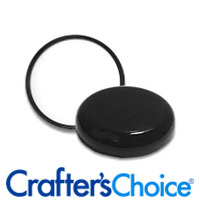 They are so cute and make my products stand out from others because of the oval shape. I'm so glad I bought these. The only thing I would do differently is purchase the dome-shaped lids instead of the plain ones. That would bring presentation up another notch or two. COMMENTS: I use this jar for lotions, scrubs, great jar. Looks awesome. COMMENTS: I really like this oval jar. Paired with a black lid it makes my products stand out with its unique shape. COMMENTS: These are great for a little something. They were not big or bulky and putting in the different color bath salts looked nice. They are the right size for a teacher gift. COMMENTS: Excellent quality, attractive jar. It makes for a nice variation among the other jars. COMMENTS: I love these & the design. I find that they prevent leakage of the oils in my salt scrubs, because the opening is smaller. I will be using these from now on. COMMENTS: Love this jar! These make my dry masks stand out! COMMENTS: These jars are the perfect size for my sugar scrubs and body creams. COMMENTS: I thought these would be very cute to put my bath butter in but it is hard to get it to fit in the nooks and crannys of this jar. However, I think they will work great with bath salts, scrubs and other stuff. "different look, worked well for my facial mask"
COMMENTS: these jars aren't my favorite but as far as functionality they work wonderfully. it also gives a nice look to the product. "Oval jars add appeal to my body butters." COMMENTS: I use the oval jars for packaging my body butters. My customers love the jars and often compliment me on the look. Great buy, don't miss out. COMMENTS: I love how "Upscale" the jar appears and is super clear. I paired it with the foam liner cap and seals and am so thrilled to have a leak free jar. Highly recommend this jar. COMMENTS: I love this bottle and so does my customers. COMMENTS: I love the look of these jars, but they did not hold 4oz. of my whipped shea butter! They only held about 3.25 oz. COMMENTS: These are great for trial size products, favors, and gift baskets. I really like them! COMMENTS: So glad I found these through this site, was going to order off another site but shipping charge was outrageous! I also like that I can pick out my own caps and make my brand my own and stick with what I want. COMMENTS: I use these with the white dome lids. They are really pretty looking, much nicer than the straight wall jars, in my opinion. COMMENTS: It is unique looking but because of its shape, the bottle looks smaller than a normal 4 oz bottle, so customer feels they purchased a small amount of the product for the price. COMMENTS: Love these jars. I use them for creams with a narrow long label for the front. COMMENTS: Great jar for body butters since their so thick. Customers are drawn to these professional looking jars. 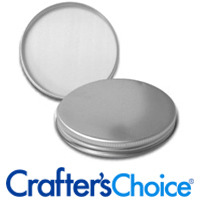 COMMENTS: I use these little jars for my foot scrubs, and I use the silver lid with them, and they look so high class! And they are so cute! The shape gets customers attention too. COMMENTS: I love them they are not to big but big enough. Everybody loves them. • easy to hold on to. COMMENTS: I love these jars soon much it looks so good with product inside and thick too very professional appeal. COMMENTS: We purchased these jars for our emulsified sugar scrubs, however we should have thought through the packaging a little more thoroughly... the jar opening isn't quite large enough to fit a hand in. We included small wooden scoops with our scrubs and the problem was solved! We liked that the shape of the jars was unique and the product itself was sturdy enough for our blend. COMMENTS: Perfect size and great, durable product! COMMENTS: This container looks perfect for a high end spa merchandise. Have been using real glass but will switch to this container. Great shape!!! COMMENTS: I have used these for my skin balms. I like that they are slightly different than the usual round jar. Very classy looking. I ran out of these jars and used a different jar - have hardly sold any of that balm, so I must return to this shape. It sells better. "Perfect jars for my Bath and Body Products!" COMMENTS: I love these jars because of their unique shape. They are perfect for my Bath Whips, Lotions, and Sugar Scrubs. I hope you never discontinue these. COMMENTS: I purchased these jars to go along with the Silver Metal Basic Top Cap and absolutely love the combination! I use these jars for my body butter and always receive wonderful feedback about how great they look. I feel the shape of the jars help to set my product apart from competition because it looks very high end. I will absolutely continue to purchase these and the 8 oz jars for my products! COMMENTS: Used them for my sugar body scrubs. Need to purchase more soon. COMMENTS: I'm in love with the look of these cute little jars with a sliver lid and use them for powdered face masks. Will likely also purchase the 8 oz version to hold more product. COMMENTS: I love these little jars. I got the 4 ounce which are great when you are making body scrubs or body butters. COMMENTS: These are so cute! COMMENTS: These are really nice jars with a lot of different uses (look very classy). "Great Look but hard to get product in"
COMMENTS: Great Look, very professional and it fits my labels well but... its hard to get the product in and if you have to stir anything in which I do when its in the jars its hard to do that. COMMENTS: I just love these jars! Great sophisticated look/ fabulous price! COMMENTS: Love these jars. I use them for clay masks, and they are the perfect size. Easy to label, durable, and easy for customers to wash and reuse if they desire. COMMENTS: I love how these are short but still holds 4 oz. of my product. They're easier to ship also. They also withstand heat without melting. COMMENTS: I used these for holiday packaging with my body butter, I put gold labels on them and they turned out SO AMAZING! Will definitely be using these in the future! COMMENTS: These jars are so great. They are reasonably priced and perfect for my face masks, body butters, and even body scrubs. They just add something special to my products. COMMENTS: I love these jars for my creams. 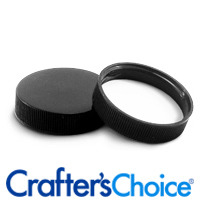 They are sturdy and professional looking and look great paired with the silver cap! 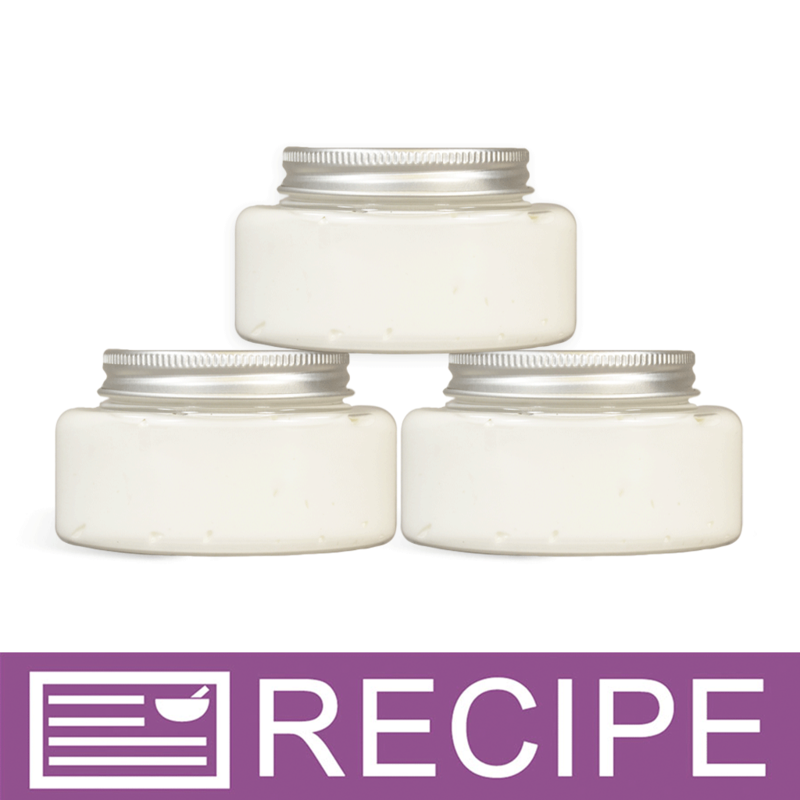 "Oval 4 oz jars "
COMMENTS: I recently used these for a special batch of whipped Shea butter. I wanted something "special" for my pink breast cancer awareness pink grapefruit frosting. Product looks amazing in these affordable unique shaped jars! COMMENTS: These jars look so sleek filled with product. Holds butters wonderfully! COMMENTS: Love these jars!!! I'm gonna start using them for everything. COMMENTS: I love this jar! It's perfect for showcasing my colorful, yummy scrubs and adds a very elegant flare to my products. It's also perfectly sized for a nice front and back label, which I really like. This size is perfect for selling to those customers who want to always try new fragrances, but for those who usually stick with a few fragrances they absolutely adore and would want to buy more product at a time, I would choose a slightly bigger jar. This holds exactly 148 grams (5.2 oz) of sugar scrub (filled all the way), so just enough for an affordable, small(er) product. I have to always seal my jars, otherwise the oil leaks, which is ok anyways, since it looks cleaner and more professional. 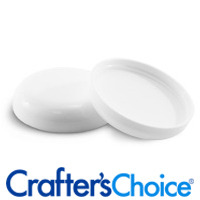 COMMENTS: I use these for my sugar scrubs and I absolutely love them! I love the shape, but the mouth is a bit small. But it's such a cute jar that it won't stop me from getting them! I also use the 8 oz jars. COMMENTS: Excellent size to use for a facial cream. It holds enough product to keep the customer happy, and not so much that it won't be used before it expires. • Perfect size for facial lotions. COMMENTS: Love the oval shaped jars! "Is there a box that would fit 2 of these jars (stacked on top of each other) with a window? thank you"
Staff Answer We do not have a box that would fit either one or two of these jars. "What is the correct size for labels? 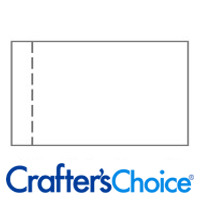 width & height"
Staff Answer We recommend having the jar in hand before creating labels. The approximate size is 3/4" height x 3" width. The circumference of the jar is 9". "If I were to use these for bath salts (fine size salts), how many ounces of salt would it hold?" Staff Answer This jar holds approximately 4 oz. of salts if filled to the bottom of the threading. "I need to know label dimensions for this jar. Height from Base to top of shoulder. as well as max. legible distance on front. I would be really lovely if you had a downloadable mechanical diagram from your manufacturer. It would increase your sales. I am designer, working with client, and need to get estimates for label. Thanks, Renee"
Staff Answer Height for label would be no more than 2". We recommend having the actual jar in hand before purchasing or designing labels. That way, you can be sure you are purchasing a label that is sure to fit your jar. "I am considering making water bead diffusers. Would these be okay for this purpose? And what if I used essential oils? Would the jars disintegrate? " Staff Answer You would need to test your product in these jars. We cannot state whether the jars would be compromised with the product you are making. 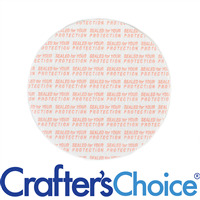 "What size press and seal adhesives do you recommend for this product"
Staff Answer You would need a 58 mm press and seal. 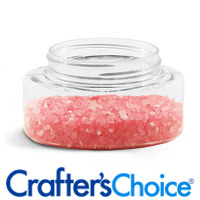 "I have used the 71 mm natural classic jars for sugar scrubs and it leaks and ruins the labels. What do you suggest as the best container so when the oils separate from the sugars it won't leak out?" Staff Answer The Natural Classic jars do not have lids with liners. For an oil-based product like a scrub I would recommend using a lid with a liner. You will see "F217 liner" in the product name if it includes a liner. You could also consider adding a Press and Seal Liner under the lid for an extra safety measure.